Note: Thanks for the introduction, Chris! I'm really excited to be here today--this is the first time I've given a talk at a web conference, and I was super nervous, so in the days leading up to today I practiced talking to myself a lot. It feels weird at first, but I think I've gotten a hang of it, somewhat. We'll see. Since I'm pretty used to the flow of doing these talks live, I'll answer any questions that come up at the end. So, hopefully everyone can see my slides now. For those following along with their own copy of the slides, you'll hopefully be able to see what slide I'm on in the URL bar. Today, I'll be talking to everyone about a technology called WebRTC: what it is, how it works, and how you can play around with it. If you already know everything about WebRTC, this talk probably won't be too exciting for you. A lot of people I've talked to before have mentioned finding WebRTC intimidating--in particular, it's a pretty frustrating technology to develop with, and I agree with that on many counts. However, my goal today is to show you all that WebRTC *can be* easy. A little bit about myself, first: I'm a product engineer at a company called Stripe. We build an API and related tools to help developers and businesses process all sorts of payments, from credit card payments to ACH, Alipay to ACH. We're located in sunny San Francisco, California, and I'm currently in one of our conference rooms. This one's called Zebra, as you can probably tell from the pictures behind me. Now, we don't actually use WebRTC here at Stripe, but we do use Google Hangouts for our ultra-time-sensitive communications. 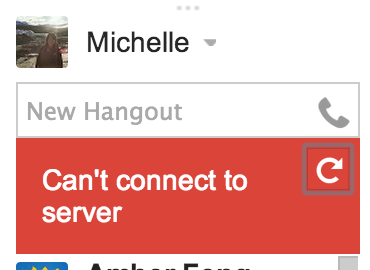 I don't know if you've ever experienced this, but oftentimes, Google Hangouts will be pretty laggy. Chats will appear out of order momentarily, and often take more than 5 seconds to be delivered. I wish I had a dime everytime I get this message. So, we could just turn around and talk to each other face-to-face, but sometimes I find it hard to express myself fully without being able to use emoji. Jokes about in-person-communication aside, the way Hangouts works right now doesn't make too much sense when I'm talking to a person who's sitting 20 feet away from me. My message has to travel from my computer here in San Francisco, to Stripe's router, all the way to some..
..random data center in Dowles, Oregon. That's over 600 miles (or 1000 km) away! but once it's there, I no longer have control over what I sent! It's out there. On someone random lurker's (or Google's) server! And after all that, it still needs to make that 600 mile/1000 km journey back to Stripe, where my message will end up 20 feet from where it started. So, let's see if we can't eliminate some of parts of this process. Here's the lifecycle of a Google Hangouts chat message. 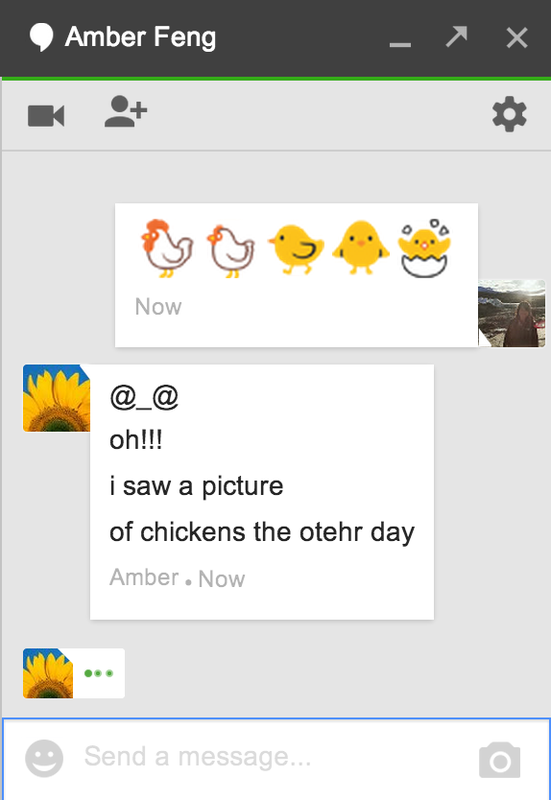 The chicken emoji represents a chat message that I commonly send, and you can see some third party servers up top. Well, it's hard. Note: Why can't we just send packets directly to each other's networks, if we know our IP addresses? (fragment) Well, it's hard. Note: Some of you probably know much more than I do about NAT, but I'll explain it briefly. NAT is most simply a sort of IP mask. It stands for network address translator, and it turns your internal ip address (192.168.something.something) to a public IP address.  This means that if two browsers want to talk to each other, they have to figure out (a) if one or both are behind NAT and (b) what each others' actual IPs are. Note: Additionally, even if we were to get past NAT and make a connection, we'd want our data to go over the wire securely, so I can't steal your chicken. It's best to have a standard for this, rather than rolling your own. Finally, web browsers have historically used TCP as its transport protocol of choice.  For many peer-to-peer applications, such as real time games and video streams, TCP becomes too slow. The good news is that WebRTC has solved these issues for us. // Purple: I want to have a video chat with my friend! // I'll create a data channel to relay chat messages with my friend. // and another one for sending files. // I'll create a video/audio stream so we can videochat. // And I'll add that stream to my connection. What I'm about to explain is a very simplified version of the raw WebRTC API, so if something seems magical right now to you, I'll probably come back and fill in the blanks later. The pseudowebrtc in the next two slides can all run on the client side, in your browser, which is a webRTC client. I would first create an RTCPeerConnection object with some configuration object. At this point I should decide if I want to have a video call or just a text chat over DataChannel or even a filesharing session over DataChannel. If I want to create a data channel, at this point I would call createDataChannel on my peer connection object. If I want to add a mediastream, I can use `getUserMedia` to access my webcam and microphone. You'll notice that the `getUserMedia` sticks out a bit. We'll get back to this in a bit, because it's a pretty cool API on its own. Theoretically, there's no reason I can't both create a data channel and add a media stream, because another cool feature of PeerConnections is that they can multiplex many mediastreams/datachannels. // I want to talk to Blue, so I'll make Blue an offer to chat. // ...and pass it on to Blue. // we'll talk about our magical sending apparatus in a bit. So now that PURPLE has decided who he want to talk to and how I'm going to talk to you, I'll create something called an "offer". The format of the offer is called "SDP", or Session Description Protocol. SDP doesn't actually deliver any media, but rather serves as a way of letting your peer know of your configuration--like the media format or type you want to share, or the transport protocol you're using for your data channel. I record this offer on my peer connection locally using setLocalDescription, then magically send it to you. This means that if you ever add a new stream or change an existing stream on your peer connection, we'll have to go through this negotiation process again. // Blue: I've magically received an offer, and I want to chat. // I'll share my own media, but I only want to share video. Blue magically receives purple's offer, and she decides to answer. Blue is a pretty shy, so she's not going to add her camera stream. And at various points during this process, events for streams and data channels would've fired. But at this point they're usable. Whoo, that was a lot. So let's take a bit of a mental break, because we all fell our eyes glazing over when we see code on slides. Remember getUserMedia, the API I said was a little different from the others? Recall that it is a browser api that is able to take control of your webcam and mic. You can use `getUserMedia` without even knowing that WebRTC exists. although its not directly tied to Peer0to-peer connections, its considered a gateway to WebRTC because it allowed the PeerConnection API to stream media between to peers very early in its development--data channel support did not come until much later. ### (from Opera) Note: and there's even more you can play around with. http://shinydemos.com/getusermedia/ Definitely try some of these out when you gte the chance! So, offers, answers, local, remote...pretty simple, right? Basically just a simple handshake. But that seems too good to be true. WebRTC is in a much better than it was a year, or even a few months ago. But it's still a reality that it's difficult to get a grasp on how the APIs works across browsers, depending on how to spec browser implementations are. And even if you force all your users to use Chrome, you have to deal with different version of the browser...and mobile versions. 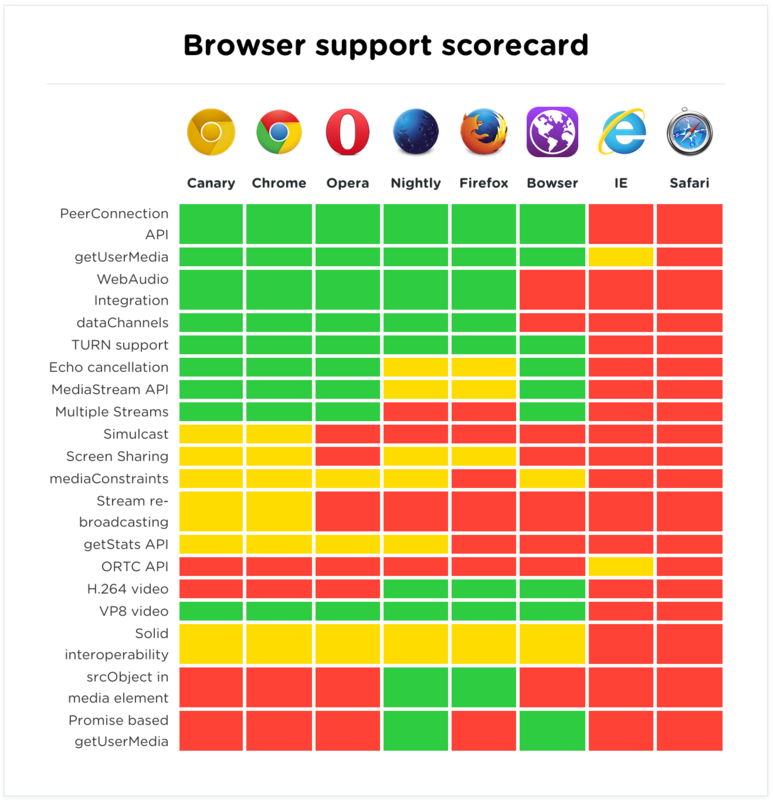 In this really cool browser support table from iswebrtcreadyyet.com, you can see that there's a lot of red and yellow. and these are the parts you really end up pulling your hair over. They're parts of the API that are not fully up to spec or not interoperable. Compared to the browser scorecard from almost a year ago when I first gave this talk, there's not an amazing amount of growth in percentage of the green portions. A lot of the work on WebRTC in recent months has been in nailing down the API and in supporting a broader range of data channel and media stream options. and then you'll go to the page they claim to be migrating to, and find this. Last year, there was an issue filed on PeerJS, where mobile devices on Chrome 31/32 could not communicate with desktop browsers of the same version. How strange. So I got my hands on an android device and checked the chrome flags settings. The story here is that I couldn't quickly figure out how to take a screenshot on an android phone, so I took a picture with my iphone. So I search the equivalent of stackoverflow for webrtc: the webrtc-discuss google group. Sorry, less searchable equivalent of stackoverflow. but blue censor bar seems legit. It's not working in Android. Which means Android is lying to me. Anyone less jaded than I am about WebRTC might hesitate to believe that. But after months of strangling with standards noncompliance, trying to implement webrtc browser interoperability with two browsers that did not have a complete implementation, "firefoxisms", versions of firefox onyl supporting servers specified by IP address, random breaking changes in both browsers, I was more than willing to believe blue censor bar. The bug today? It's closed, but I never fixed it or anything. I wrestled with a few hacks to detect whether SCTP was really enabled, but nothing felt satisfying. Eventually I decided that it wasn't worth the time. Android for Chrome would just roll out their fixes soon anyways. And indeed, now we're on like version 40 of chrome, so it's no longer an issue! to `someone` via a server. Note: Surprise! The peers don't just magically know how to call each other. We need what's commonly known as a signalling server to initiate their connection. Alas, something needs to relay the offer and answer. You might be thinking that I've misled you about not needing servers. Well, the configration information is all the signalling server touches.  Once the peer connection is established, the server no longer plays any role in the data transport. with one caveat that if you want to add another stream or data channel on yoru peer connection, you'll have to renegotiate and go through that offer answer process again. even more servers, right? You'll notice that the two servers passed in are a STUN and a TURN server, respectively. Let's talk a bit about what those are. But it doesn't have to be that scary. So at this point you're probably like, "But the first slide of the talk says that WebRTC can be easy! And all you're doing is scaring me!" Well, despite all the scary things I've just shown you, the good news is that you can play around with WebRTC without understanding any of it. There are a few libraries out there that'll make it super easy to prototype quickly with WebRTC. 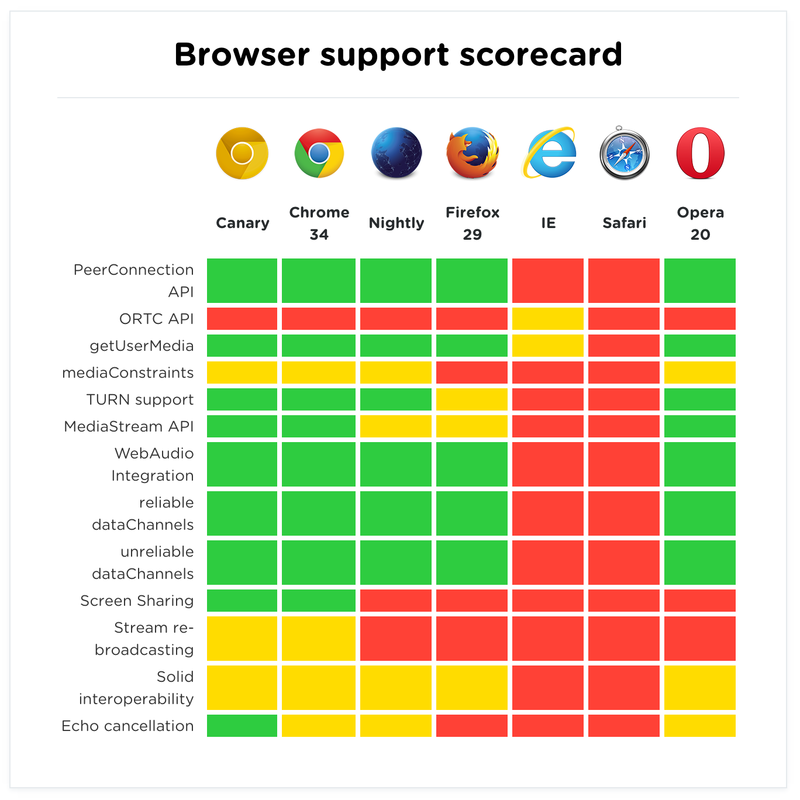 WebRTC is a native browser API like any other, and native browser APIs are often hard to digest without some nice wrappers. Here are a few that have been around. Definitely look some of these up. As I mentioned earlier, I help maintain PeerJS. And as a maintainer, one thing I find that make open source WebRTC libraries a bit different from other js libraries is that they require a bit of background knowledge about the webrtc apis, which can understandably seem scary. this makes it so that great developers, like yourselves, don't tend to contribute as much. but now that you've sat through this talk, i'd like to encourage you to try your hand at contributing to some of these libraries! 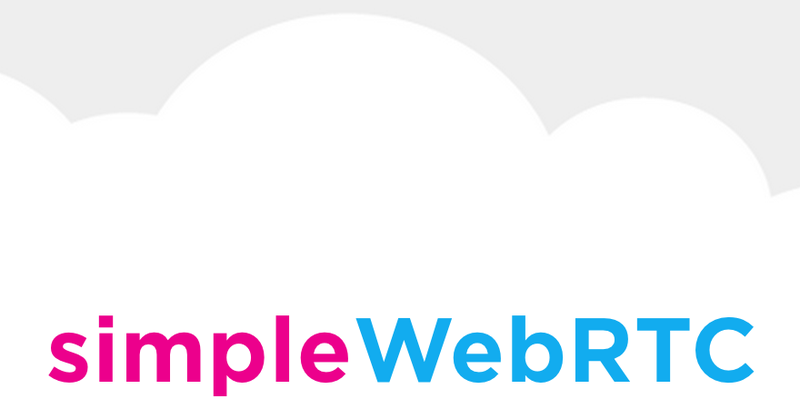 it continues to be a really exciting time for webrtc, and the more folks we have using and contributing to these libraries, the better they can become for everyone. Note: If you want to join in on the demo, you can visit the link above. If you have trouble connecting, it's often due to company firewalls. @michelle on Github @hazelcough on Twitter michelle@michellebu.com Note: That's all! Thanks for listening, everyone, and thanks to Chris/Ari for organizing and keeping track of questions. I'll go through see if I can't answer a few of these, now. If I don't get around to yours, or somehow miss it, feel free to tweet at me, or shoot me an email.